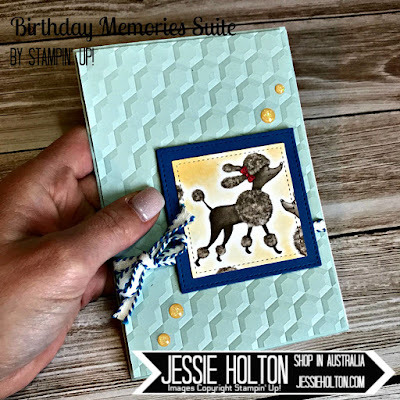 Today I have another card I've made using the Poodle from yesterday's card. 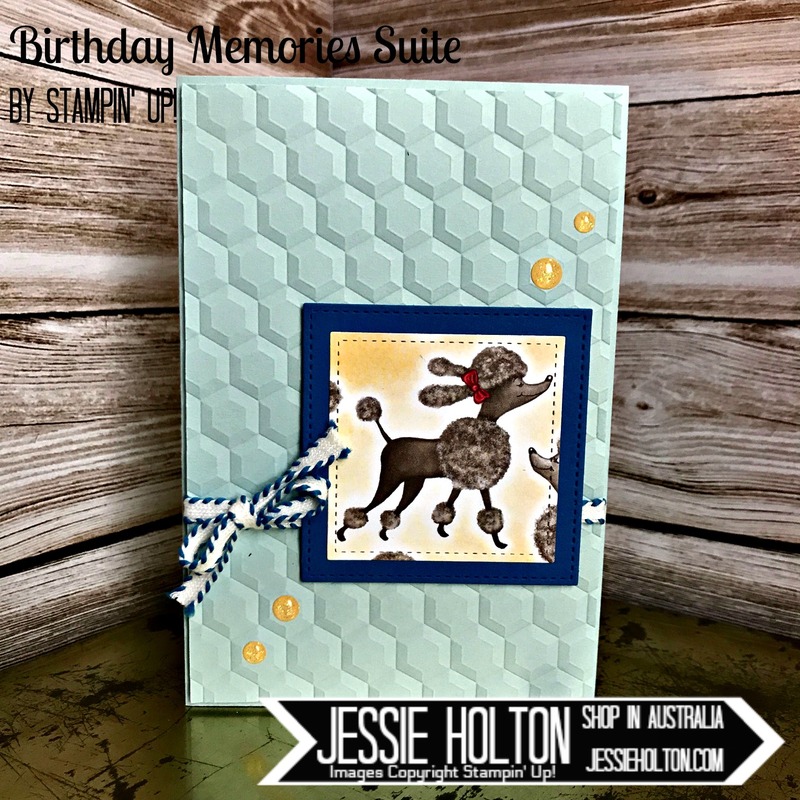 This time I have used Soft Sky, Pacific Point & Crumb Cake, which are the colours you get in the coordinating Birthday Delivery cardstock pack. 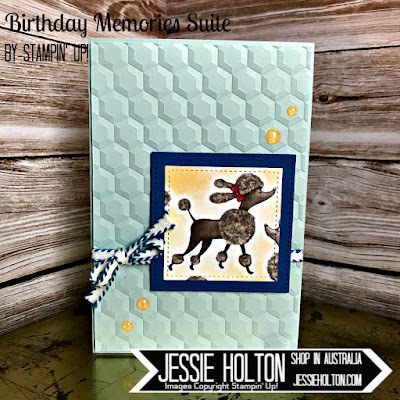 I have used a Soft Sky base with another layered pressed with the Hexagon embossing folder. I have used the Stitched Shapes square dies to cut the Pacific Point (largest square) & Poodle (second largest square). This Poodle is in the top left hand corner on the page of poodles, so it's really easy to cut out. I have also used some of the Crushed Curry Glitter Dots & the Pacific Point Stitched Edge Ribbon. This was the second card we made at my Stampin Bingo Day. I have used the balloon die from the Birthday Friends dies for the blue balloon, cut from the DSP & I have cut another Poodle from the DSP for the inside. The sentiment & balloon string are from the Birthday Delivery stamp set & are stamped in Pacific Point & Soft Sky on Whisper White cardstock. I hope you have enjoyed my card today & have been inspired by this really beautiful Suite of products! I have absolutely fallen in love with this Suite!